- Glitter. Everything glittery! Glittery eyeshadow, edible glitter on cake, in my wine, on my arms and face and all over the house! You can't move without seeing sparkles in our house at the moment, right now it's twinkling on my laptop and all over my jumper! Aw lovely list! 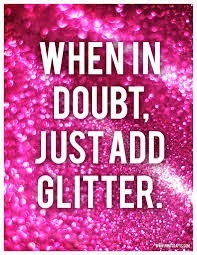 I definitely agree with the glitter especially at this time of year! Great post :) I love the idea of doing a happy list!